Walerus have always been the bullies of the coastal world. Due to the recent evolution of the intimidating Darwhol, this monster no longer finds itself at the top of the food-chain. Desperate to find an environment to throw their weight around and declare themselves king, they have began to swim up rivers. Walerus can be overwhelming to inexperienced tamers. Their formidable defense and blubber from sea-life makes them difficult to damage. 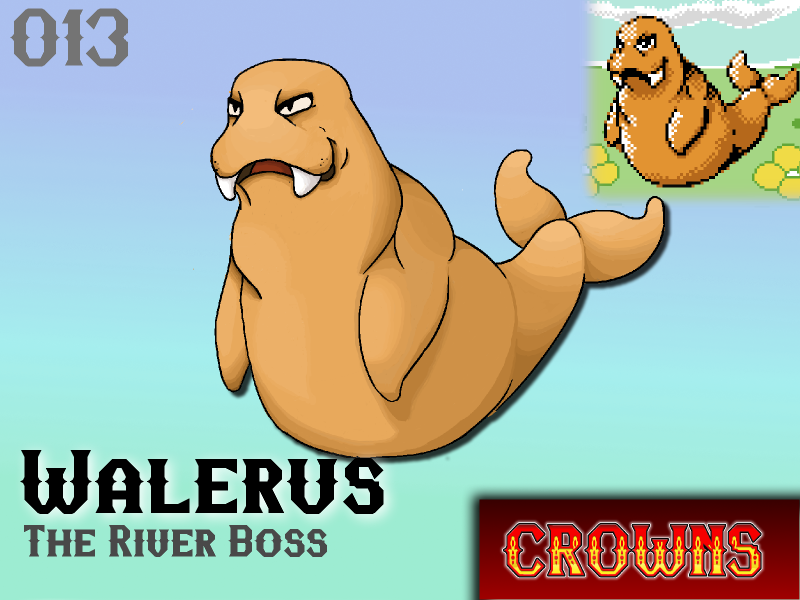 Even after inflicting damage Walerus can swallow huge mouthfuls of refreshing river water and restore their HP! Will Walerus make your team?